For me Hero Quest and Warhammer Quest started my hobby career proper back in 92-93. I played exclusively fantasy the next 13 years with only minor tinkering in 40k and Epic. Then I got fed up. So in came 40k and some other minor tinkering on other games. After many years I made a O&G army and last year a oop CD army. Not for the game itself but to scratch “that” itch. The game was still as boring as when I left off. 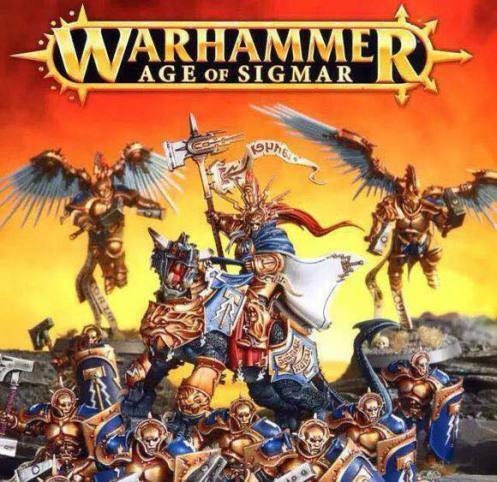 I will not buy the starter box nor will I redo my existing Warhammer armies. I will actually patiently wait until the new Destruction (as I said, can’t remember the new names) while I plan theme, bases, conversions and so on. Oh and I do have a few knights for 40k left to do in the meantime. So what are your plans – ragequit or get with the new program? After my first game, I am a lot more positive than my previous hesitancy. There are still some issues though, and I think that until we have more rules, a combination of house rules and sportsmanship is an actual necessity. Having that said, the game is a god damned carnage. Don’t expect your pride models to survive. Ever. Blood will flow. I’m pissy about the destruction of the Old World but without at least trying it out ragequitting seems extreme. I at least played 5th ed 40k a few times before I decided it was better left a hobby edition for me. Same regarding that ed of 40k. It was awful.